The turnout in the presidential election in Transnistria amounted to almost 60 percent, head of the Election Commission Elena Gorodetskaya said Sunday. TIRASPOL (Sputnik) — Earlier in the day, the commission declared Sunday's election valid after it passed the 25 percent turnout mark. "A total 59.16 percent of voters took part in the elections… For us, this is a good result. Tiraspol saw the highest turnout," Gorodetskaya said. Six candidates competed in the presidential election. Exit poll data showed that Transnistria's parliament speaker Vadim Krasnoselkiy was ahead with almost 70 percent support. Current president Yevgeny Shevchuk received less than 20 percent of the vote. Over 6 percent voted against all candidates on the ballot. 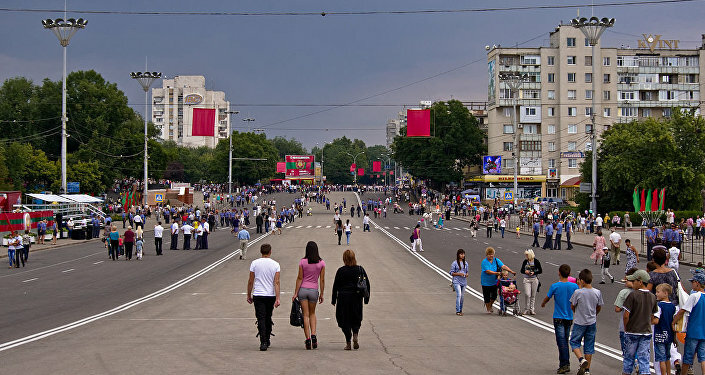 Transnistria, a region with a predominantly ethical Russian and Ukrainian population, broke away from the Soviet Republic of Moldova in 1990, fearing the country might seek to reunify with neighboring Romania. The move triggered a war that ended in a ceasefire in July 1992, but the conflict has remained unresolved. Russian peacekeepers have been preserving peace in the region, along with their Moldovan and Transnistrian counterparts.